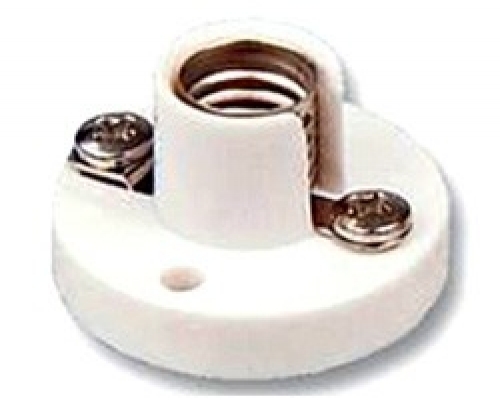 Bulb holder for MES bulbs, moulded in resilient white ABS. Spring loaded contact, cross-head screw connections. Two mounting holes (fixing centres 23 mm). Dimensions 30 mm dia. x 20 mm high.